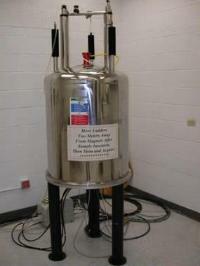 We have three NMR spectrometers at the UM Department of Chemistry, at 500 MHz, 400 MHz, and 300MHz. All our machines are Bruker instruments, with multinuclear inverse and broadband 5mm probes. Our 500 is currently fitted with a H,N,C Z-gradient cryoprobe for high resolution protein spectroscopy. 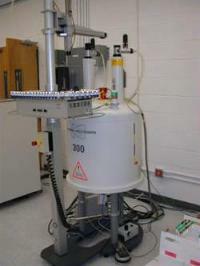 Researchers from inside the UM community and commercial interests outside the University are welcome to submit samples for NMR spectroscopy in our facility. A standard fee schedule is set up competitively with that from other universityes; please follow the link below for the schedule and for larger photos of our instruments.